MP3 Download, or click the “Listen Now” button on the right. Thank you again for sponsoring the show! Canman discusses his weight and his physical. Vince from Sham Wow gets busted! More Ghost Busters 3 news! Canman Reviews Monsters Vs. Aliens! We review the Wii game House of the Dead : Overkill. Today we showcase the music of Canman’s little brother Todd Canfield. We play 2 of his BRAND NEW songs “Sway” and “Died to Feel” on the break. At the end of the show we play one of his older tunes “You will be Mine”. 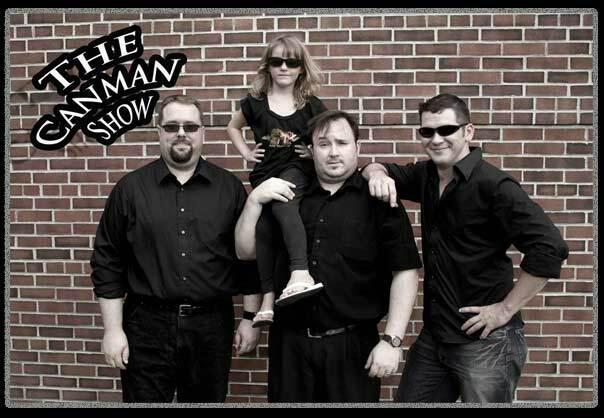 The Canman Show Holiday Special 2008! Â We share our plans for this Christmas and some of our favorite Holiday traditions. On the show we also featured music from Podsafe Music Network! “Fanboy Christmas 2 The Wrath of Claus” By The Great Luke Ski and the FuMP. “All I Got – The Christmas Song” by Nice Peter, and “Chiron Beta Prime” by Jonathan Coulton. Wishing you a Happy and Safe Holiday SeasonÂ from The Canman Show!!! The Canman Show Episode 13! Â We’ll get an update on Kevin’s world,Â Jamie will update us on what’s happening at thegazetteonline.com, Timmy’s gonna sing (as mentioned above)Â & Canman’s going to try not toÂ cry like a baby!… All on tonight’s Episode!!! “The Land of The Lost” movie. Geeky Holiday Gift Ideas.Â Check out Ars Technica’s Holiday Gift Guide Here. This week on The Canman Show. We’ll also be discussing the cool tech stuff and toysÂ we’re thinking about putting on our Christmas lists this year.Â Â I might even have myÂ kids list off some of the cool stuffÂ they want too. I’m glad that the “Bail out” worked (heavy on the sarcasm).Â Â Â The Dow fell under 10,000 points for the first time in 4 years today.Â Â Â Did weÂ just flush 700 billion dollars down the toilet? 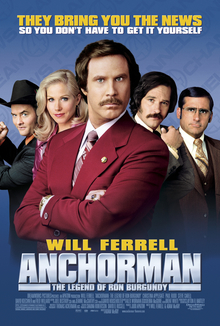 On a lighter note I heard a rumor thatAdam Mckay and Will FerrellÂ are possibly making Anchorman 2.Â Â Â I sure hope so.Â Â Anchorman makes me laugh so hard every time I watch it, it hurts. I also read another movie relatedÂ rumor on Aint it Cool News todayÂ that they get the impression from Bill Murray that there is a very slight possibility of aGhostbusters 3!Â Â Â Â Dan Akroyd was hinting about this as well.Â When he was discussing it,Â he was saying thatÂ it may be an all CG movie with the original cast voicing animated characters.Â Â Â Â I hope not, however I would still pay to see it.Â Â …Â In researching this article I found another more recent article where Dan is saying that the new Ghostbusters may be written bySeth Rogan and Judd Apatow ofSuperbad fame..! I love the Ghostbusters! Be sure to download Episode 5 of The Canman Show.Â Â I would love any feedback on the show you may have.Â Â We’re working to make it better every episode.Â Â Please send me your comments and I’ll take them to heart.Â With all the IMDB links… Shameless plug…. Here’s my IMDB page. Kevin, Tim and The Canman discuss fun things they like to do with their kids, their favorite podcasts and upcoming events in the area. Please don’t forget the deadline for sending your Opossum photos is Thursday 09/25/08.Â Please send your submissions to thecanmanshow@gmail.com.Â US residents only please.Â Also include your mailing address so I can send you your Batman figures. Thanks once again to Podsafe and The B-Sea Surfers for the use of their music. This episode also features 2 songs my Todd Canfield. Here it is!Â Episode 1 of The Canman Show.Â Â Please check it out!Â Â Special thanks to Timmy, Kevin, Alisabeth, Seth and The B-Sea SurfersÂ for the use of their music!Â Â Itâ€™s a little rough, but heyâ€¦ itâ€™s our first episode.Â Weâ€™ll get better, we promise.